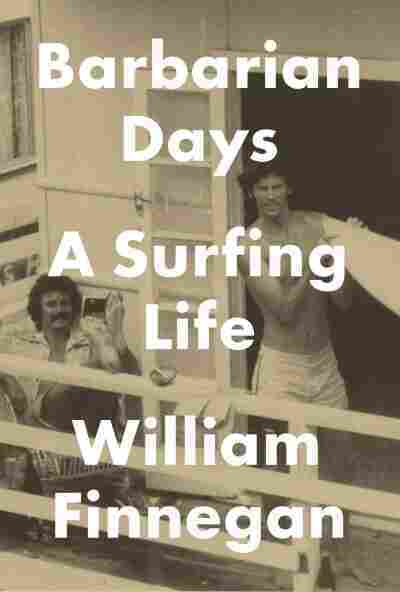 Each Wave Tells A Story In 'Barbarian Days' A surfing memoir might not be what you'd expect from a seasoned New Yorker reporter, but William Finnegan's new book is a loving look back at his life on the water. "It wasn't that the waves beggared language. It was more that they scrambled it." Longtime New Yorker staff writer William Finnegan is being modest here, relating one of many spiritually resonant surfing experiences on Fiji's Tavarua Island in 1978. In fact, there is no wave in his memoir Barbarian Days that Finnegan can't describe in intimate detail. Honolulu, LA, Fiji, Australia, Madeira, San Francisco. Finnegan lovingly remembers every break, treating them like old friends who only occasionally tried to brutally murder him. That his memoir would be almost entirely concerned with wave riding is a bit of a surprise, if a welcome one. Throughout his award-winning journalistic career, Finnegan has reported from the front lines of wars and other areas in turmoil; South Africa at the end of apartheid, Sudan, Mexico, and countless others. In the last year, he has written a number of terrific pieces that had nothing at all to do with surfing, including one about the ongoing fight for a livable minimum wage in the United States, and another about fleeting ups and downs of gold prospecting in the Peruvian Andes. This story, however, starts in Honolulu in 1967. Finnegan's parents had moved to Hawaii for work, and the son quickly found himself embroiled in a low-stakes race war ("situationist, not doctrinaire," he's quick to note) at his junior high. He soon finds respite in surfing some of the iconic spots he learned about from magazines greedily consumed while growing up in Southern California. It's Finnegan's first taste of Hawaii, but not his last. A few years later, after dropping out of college at UC Santa Cruz and moving to Lahaina, the wayward intellectual embraces the itinerant surf bum lifestyle that would come to define this next period of his life. It's here he meets the writer Bryan Di Salvatore, a fellow scholar-vagrant, and thus set in motion an epic, globe-spanning endless summer, one that leads to experiences influential in the yet-to-be journalist's later career. He eventually returns to civilization, but never quite shakes the surfing bug. In 1992, Finnegan wrote a multi-part story for The New Yorker called "Playing Doc's Game." In it, he told the story of an extroverted surfing mystic named Mark Renneker (known as "Doc"), who resided in San Francisco's Ocean Beach surfing community. After moving to the Bay, Finnegan soon finds himself counted among the "Doc Squad," a group of acolytes who would follow this eccentric guru into insane, potentially lethal surf, "his Mephistophelian cackle providing a lifeline from the yawning space of my fear in big waves to some rock face where the psychic crampons held." Finnegan retells this story here, and it's just as good the second (or fifth) time around. "Playing Doc's Game" stands out as one of the better stories The New Yorker ever published, although not everyone thinks so. "But I was not wrong about Mark's reaction to the piece," Finnegan reveals. "He hated it." Surfing isn't something that naturally lends itself to the written word. It's much easier to express through images, and, in this way, it does indeed "beggar" language. (There is, of course, the dense, tribal tongue of serious surfers themselves, which is fairly inscrutable to the land-locked layman.) Because he treats the waves as the book's primary characters, there are sections of Barbarian Days that are less Point Break and more dispassionate oceanic survey course. The book is peppered with details like this one, from Ethiopia: "It was a run-and-gun wave, with a glorious tube if you took a high line and timed it well on a wave that opened up ... The last ten yards of the main wall, just before it hit deep water, stood up extra-tall ... This great green slope, particularly the top third of it, begged for a high-speed flourish, a maneuver to remember, a demonstration of both gratitude and mastery." A demonstration of gratitude and mastery. He uses these words to describe the wave, but they might as well apply to the book. In a sense, Barbarian Days functions as a 450-page thank you letter, masterfully crafted, to his parents, friends, wife, enemies, ex-girlfriends, townsfolk, daughter — everyone who tolerated and even encouraged his lifelong obsession. It's a way to help them — and us — understand what drives him to keep paddling out half a century after first picking up a board.